Microwaves are electromagnetic waves with frequencies between 300 MHz and 300 GHz. The water molecules in the material of the heated medium are polar molecules. Under the action of the fast-changing high-frequency electromagnetic field, the polar orientation will change with the change of the external electric field, resulting in molecular motion and mutual friction. At this time, the field energy of the microwave field is converted into thermal energy in the medium, so that the temperature of the material is increased, and a series of physicalization processes of heating and expansion are generated to achieve the purpose of microwave heating and drying. : 1, heating speed is fast. Microwave heating is completely different from traditional heating. It is a process in which the material to be heated becomes a heating element and does not require heat conduction. Therefore, even in the case of a material having poor thermal conductivity, the heating temperature can be reached in a very short time. 2, energy efficient. Since the substance containing moisture easily absorbs microwaves and generates heat, there is almost no loss in addition to a small amount of transmission loss, so that the heat efficiency is high and energy is saved. 3. Heat evenly. Regardless of the shape of each part of the object, microwave heating can evenly penetrate electromagnetic waves in the surface of the object to generate thermal energy. Therefore, the heating uniformity is good, and the external coke endogenous phenomenon does not occur. 4, anti-mildew, sterilization, preservation. The microwave dryer sterilizer has thermal and biological effects and can be sterilized and mildewed at lower temperatures. Due to the fast heating time and short time, it can maximize the activity of the material and the vitamins, original color and nutrients in the food. 5, advanced technology and easy to control. Microwave dryer sterilizer only needs the basic conditions of water and electricity. As long as the microwave power is controlled, it can be immediately heated or terminated. The microwave machine can be used for automatic control of heating process and heating process specification. 5, the floor space is small, safe and harmless. 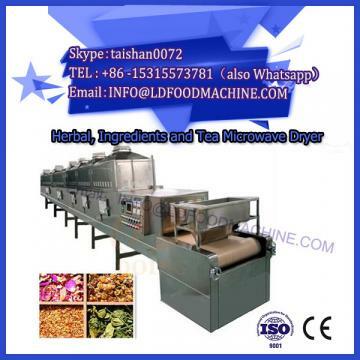 Since the microwave energy is controlled in the heating chamber made of metal and the waveguide, there is very little microwave leakage, no radiation hazard and harmful gas emissions, no waste heat and dust pollution; neither pollute food nor pollute the environment. 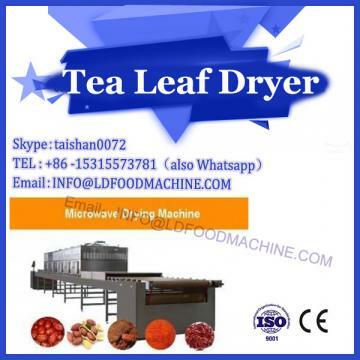 From the analysis of economic benefits, microwave drying is also better than traditional methods, such as energy saving 1/3 or more compared with far infrared drying. In practice, microwave drying is mainly used in the drying of low moisture materials (water content below 30). 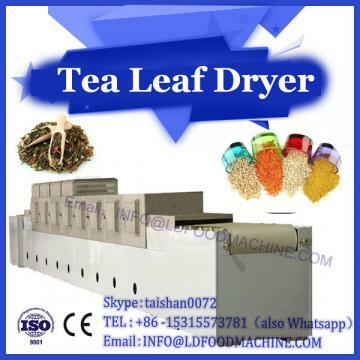 At this time, the conventional drying method (hot air, electric oven) has a low drying rate and consumes a large amount of energy, and the tunnel type microwave drying device takes 3 to 5 minutes to complete the drying from the feeding to the discharging.